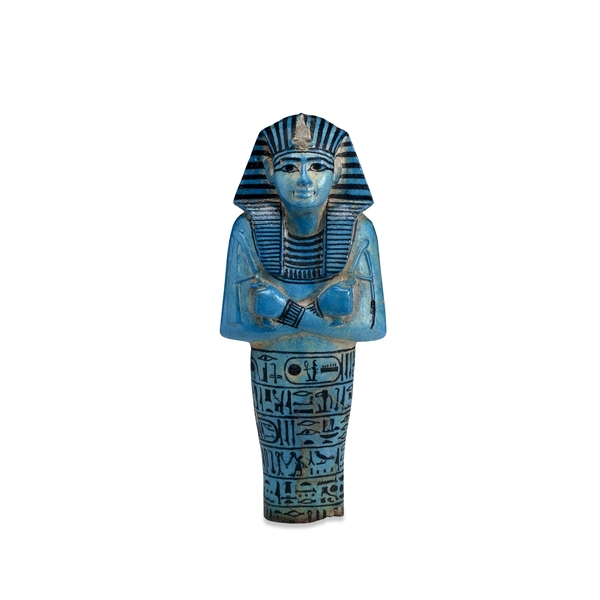 November 4th is sometimes considered the anniversary of the discovery of King Tut’s tomb. 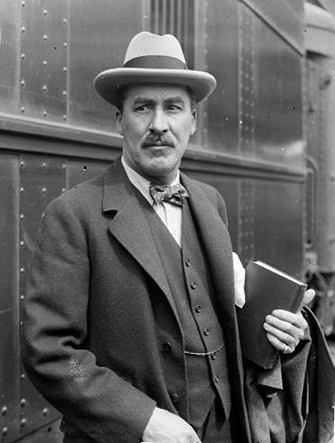 Howard Carter’s began what he expected to be his last funded season excavating in the Vally of the Kings November 1rst. He started off by having his workers clear out the area where Rameses VI’s workmen had built their huts. 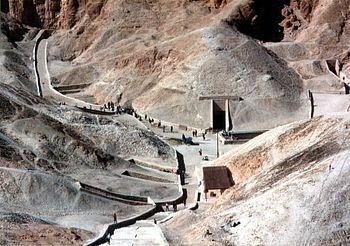 November 4th they found the rock cut steps that would lead to Tutankhamun’s tomb. They cleared out and found the door by the end of the 5th, but wouldn’t actually enter until his patron joined them some weeks later. I am not a warm weather person. Hot and sunny days I tend to spend indoors with a vague sense of guilt unless lured outside by antique or craft shows, a project that requires heat, or occasionally, a shady corner to read or paint. It seems like there are a handful of canine summer sayings, hot as a dog, dog tired, dog days… The dog days of summer have a long history. We’ve inherited them from the ancient Romans, who associated the season’s hot weather with the star Sirius because it rose at about the same time as the sun. 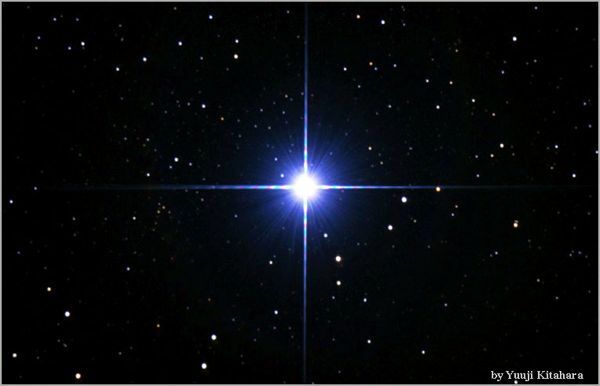 Sirius is the brightest star in the constellation Canis Major and they believed it was adding its heat to that of the sun and causing the brutally hot weather they thought lead to drought, plague and madness. A fabulous dollmaker’s adorable take on a tiny King Tut. On November 26, 1922 Howard Carter became the first person to enter Tutankhamun’s tomb in over 3000 years. It is still the only mostly intact tomb discovered in the Valley of the Kings, the place where the rulers and nobles of Egypt’s New Kingdom were buried. After five years of methodical searching Howard Carter found steps cut into the rock of the valley under accumulated debris. Luck was on his side-it was the last season that his patron (George Herbert, Lord Carnarvon, the poor guy whose death by blood poisoning started whispers of a curse) was funding. Tutankhamun’s father was Akhenaten, the pharaoh who banished the traditional multitude of Egyptian gods for a sun god called the Aten. He closed the old temples and created a new capital city to center on the worship if the new god. There are a lot of theories that Tutankhamun was murdered, but most scientists agree that his death was accidental. X-rays of his mummy show a badly broken leg that had become infected. He also had malaria, and possibly some congenital defects (genetic study suggests that his parents were siblings, not an uncommon pairing in Egyptian rulers). The infection plus any of that could have been enough to kill him. When he died he was embalmed and buried in his famous mask and sarcophagus in an unfinished tomb. 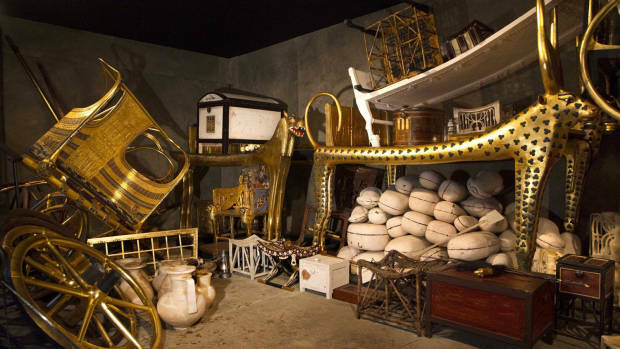 With him were items to serve in the afterlife-everyday things like food and clothing and sandals as well as weapons, furniture, jewelry, musical instruments, model boats and statues of himself and of the gods. Also with him were the mummies of his two stillborn daughters and a lock of his grandmother’s hair. Why was such a minor ruler buried with such treasure? Does this mean that the tombs of the truly great and long lived would have been that much more lavish? We don’t know. I remember one of my professors saying that he suspected part of the reason Tutankhamun was buried with such an array of grave goods was because it was probably a good way to seal up the last of Akhenaten’s influence. Though towing the old religion’s line, a lot of the art in the tomb still shows some of the same styling that Akhenaten used in the worship of the Aten. My professor’s view was that it was partly a matter of veneration of the dead and partly a matter of out of sight out of mind! The political squabbling and backstabbing after Tutankhamun’s death (widow courts foreign prince, prince dies in transit, general seizes widow, general becomes pharaoh and ends up warring with father of foreign prince, widow vanishes, pharaoh dies childless…then another one…) eventually led to the start of a new dynasty- the famous Ramessides. Perhaps the most profound effect of Tutankhamun’s life was his death, and the series of events that turned his tomb into a time capsule for us to see more clearly into his time. 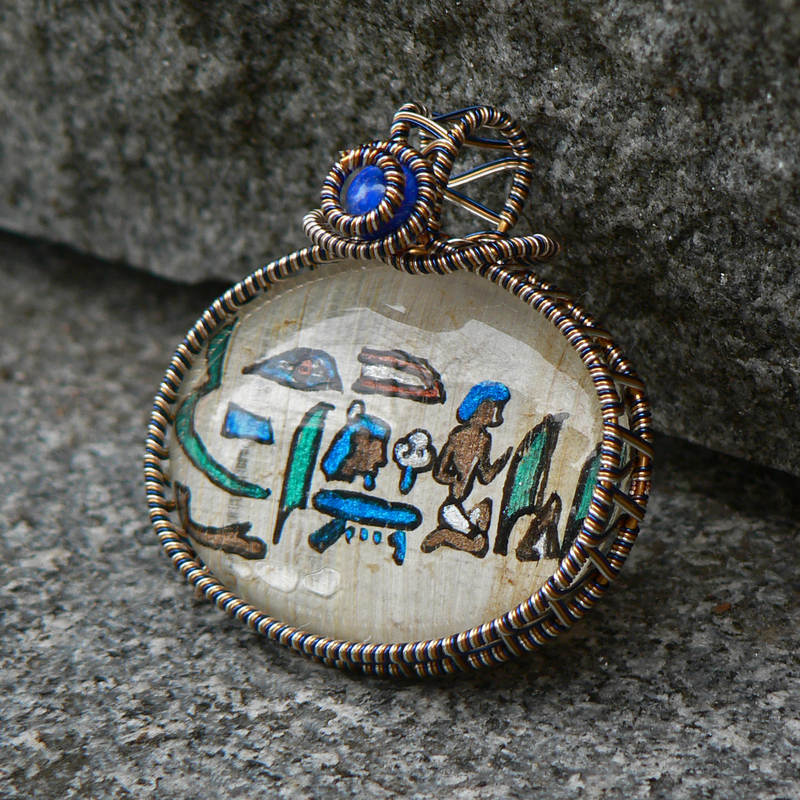 The coffin of Hor was the inspiration for my cameo style papyrus pendant more because I liked the saying than for its particular artistry. Artistry alone I would have chosen like for like and grabbed something off of papyrus-less problematic to carry over! I generally prefer slightly earlier eras for ancient Egyptian art and architecture. Hor lived during the 22nd dynasty, around 850 BCE. This was the Third Intermediate Period, a time with multiple centers of power-the priests in Thebes and the royal dynasty in the Delta region- bickering amongst themselves. It was more stable than the previous Intermediate periods, but not as solid as the dynastic eras with their mostly orderly succession of kings. My favorite periods of ancient Egyptian art are either the Middle Kingdom (the elegance and color of the glass and jewelry) and the early New Kingdom for stonework. 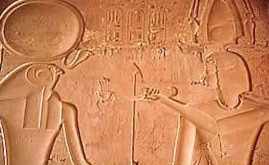 Especially the funerary and wall decoration of Seti I.
Seti I was a pharaoh of the 19th dynasty and father to the famous Ramesses II. He ruled around 400 years before Hor would have been born. Seti I consecrated and ordered less monuments built during his lifetime than his son, but they had beautiful quality detailing. 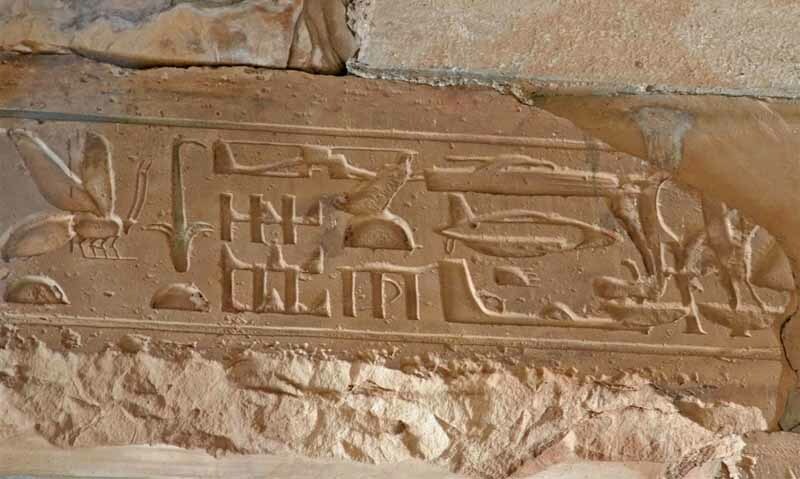 For example, next time you’re at a museum look closely at the hieroglyphics on/in stone. The most common are incised, cut into the stone and then raised in relief in their little niche. This was a more cost effective way because the entire wall could be cut evenly and then the hieroglyphs added. (This was the style most often used in Ramesses II’s building projects.) The purely relief hieroglyphics on stone required more planning and delicacy of carving, because the wall had to be reduced around them, almost like little sculptures. The mummies of Seti I, Ramesses II and Ramesses V were well enough preserved that you can see the family resemblance, especially in the hook nose and high cheekbones. (Which in the case of Ramesses II was propped up with a small animal bone and some peppercorns.) They’re very interesting but still a bit gruesome, so I’ll let you choose to follow that link or not. Scientists could also tell than Ramesses II used henna to dye his hair red even as an old man. (And since he was a pharaoh his hair would have normally been covered by his crown and regalia.) It has been proposed that the family were natural redheads, which would explain why they took the name of the god Set who was originally viewed as a god of evil. As well as of the desert and foreigners (!) He was often imagined as a redhead. So far as family resemblance goes, there is an unknown mummy that some think might be another Ramesses and he was being compared to these guys to see if he too held a family resemblance. First, props to the ancient Egyptian scribes. Papyrus is not easy to paint on. Ancient Egyptian scribes started young, probably around age 9. They had an intricate language to learn! Egyptian hieroglyphics consisted of several hundred symbols, most of which could be used phonetically or as more of an ideogram, depending on their context and nearby modifying symbols. Hieroglyphics is used to refer to the most formal written form of their language, the version represented on public buildings and funerary art. It could run right to left, left to right, or top to bottom. There was a cursive version called hieratic that scribes used for contracts, records and letters. In later times another variant called demotic appeared. It was probably a descendant of the hieratic styles of northern Egypt and became more common once the Greeks conquered Egypt. A scribe’s basic materials were simple: a wooden palette with a few holes for different colors of ink (made from soot or ground minerals plus beeswax) and reed pens. The ancient Egyptians were the first to write on paper. They created theirs from the papyrus plant, a tall reed with a thick triangular body. The outer layers were peeled off, then the pith was cut into strips. Those strips would be placed in two layers, one horizontal and the other vertical. They’d be covered in linen and pressed. The fibers would adhere together with their own sap to form a durable paper. I made a few attempts to scale down the hieroglyphics. Based on a t-shirt. Based on the painting on a coffin. So it’s at least once again removed from the original. If anyone has a proper image of this inscription I’d love to see it! 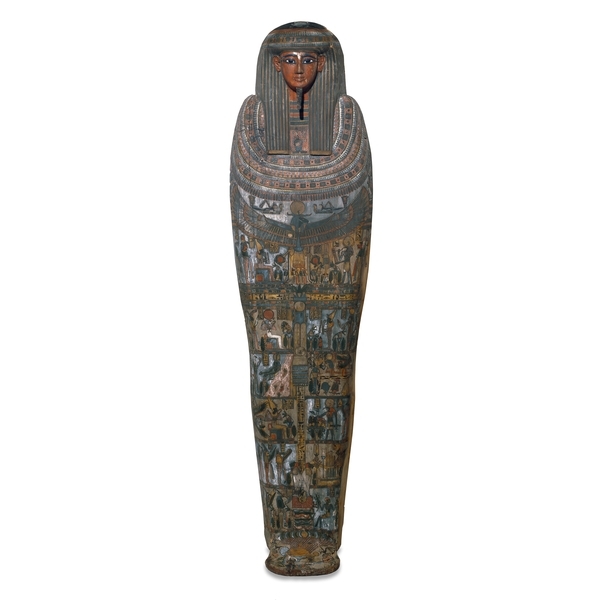 I found the exhibit information listed on the British Museum’s website, but they didn’t have images of the right portion of the coffin. I wasn’t sure what colors to use. The shirt wasn’t terribly close to the original colors and the coffin was paint on wood rather than ink on papyrus. So I chose copper, green, blue and brown metallic paints since those colors crop up in Ancient Egyptian art fairly often, and I thought the metallic colors were pretty and might be a nod to their jewelry. I outline the hieroglyphs in black to try to preserve their shape. Then I sealed the papyrus behind glass and waterproofed the papyrus from behind as well. I usually paint the back before sealing it, but I wanted to keep the texture of the papyrus. You can see the two directions of the stems and I was afraid that painting the back would lessen that effect. Once it was dry I wrapped it in silver coated copper, bronze and blue colored copper. I topped it off with a blue lapis bead, because, really, it was that or carnelian for classic Egyptian jewelry gems, and carnelian didn’t match!